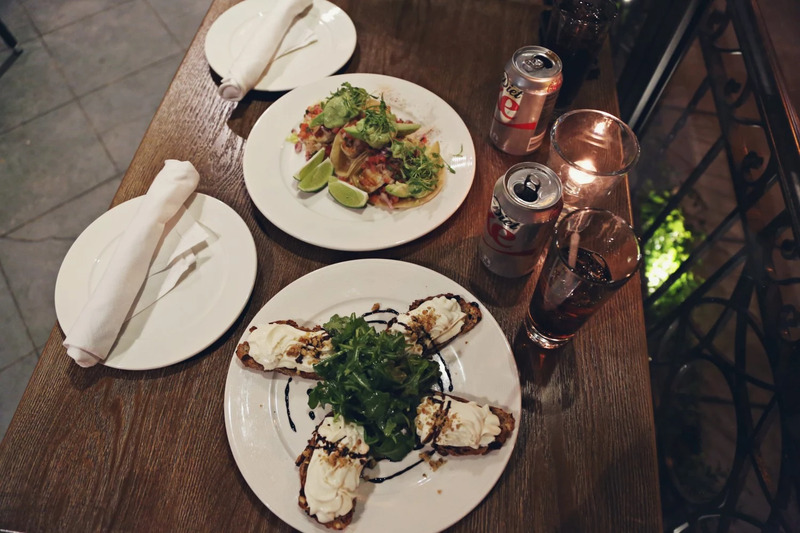 OMG - our favorite small plates at the Veranda restaurant are to die for, the goat cheese crostini and grilled fish tacos. Gotta learn to do this at home you guys, so freaking brilliant! Enjoying late dinners at the hotel together, with the beach vibe on Ocean Avenue.